It's one of the oldest neighborhoods still standing in the heart of the city and it's probably a place you never heard of. 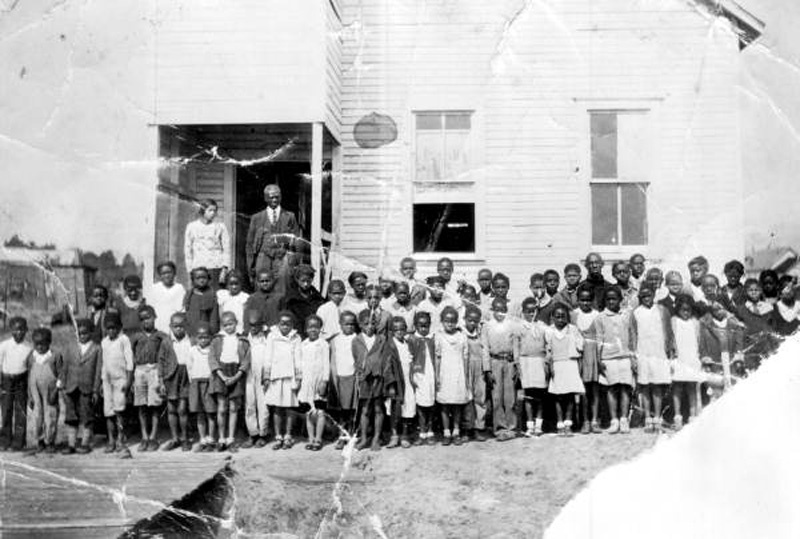 Here's the story of West Lewisville, a historic African-American streetcar suburb that predates the Great Fire of 1901. Located in an area now known as Mixon Town, West Lewisville is a 20-block neighborhood bounded by Interstate 10, Interstate 95, Forest Street and Osceola Street, just north of Riverside and west of Brooklyn. Straddling the former Jacksonville, Tampa & Key West Railway, West Lewisville originated during the late 19th century as a westward expansion of nearby African-American communities such as LaVilla, Campbell Hill and Brooklyn. Unlike the section of Mixon Town developed west of present day Osceola Street, West Lewisville’s streets were narrow in width, ranging from 16 feet to 33 feet of right-of-way. At 60 feet in width, with a streetcar line connecting the neighborhood to downtown Jacksonville, Highway Avenue (now Edison Street), served as West Lewisville’s primary commercial corridor. Following the Great Fire of 1901, West Lewisville became a popular place for African Americans to reside due to numerous employment opportunities available at nearby railyards and manufacturing plants. 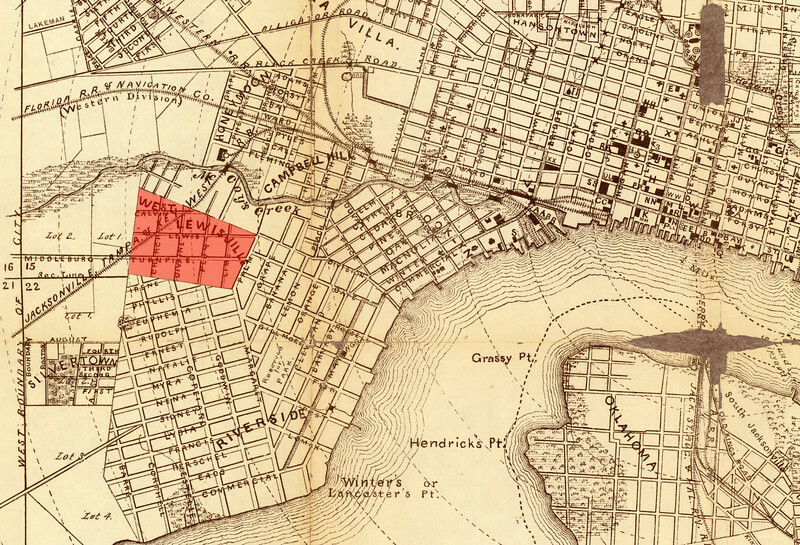 By 1913, Sanborn maps indicate the working class community had been largely built out with small predominately one-story shotgun houses, churches and bungalow courts. Maps also indicate the presence of a bustling compact commercial district along the neighborhood’s east border with Brooklyn and Riverside. The next two decades would bring dramatic change to the bustling working class community on the city’s westside. To rid the city of solid waste, the City of Jacksonville opened the Forest Street Incinerator plant in West Lewisville. 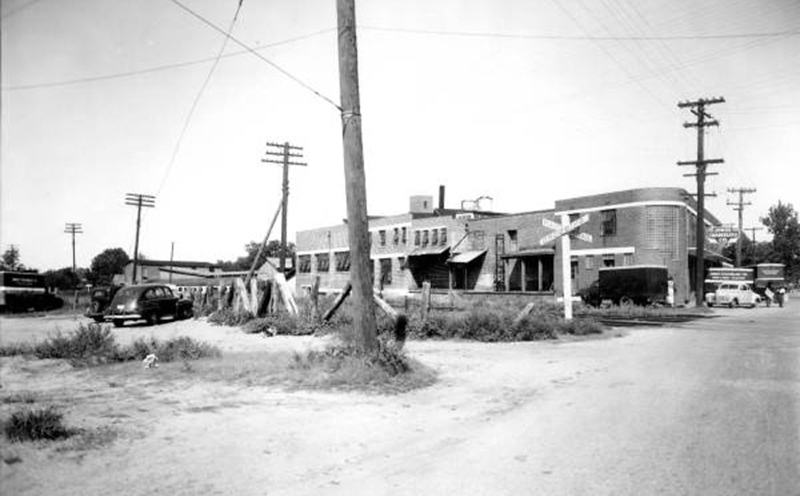 In addition, the massive 1919 expansion of the Jacksonville Terminal and 1930 McCoys Creek Improvement Project led to significant industrial growth within and around West Lewisville. 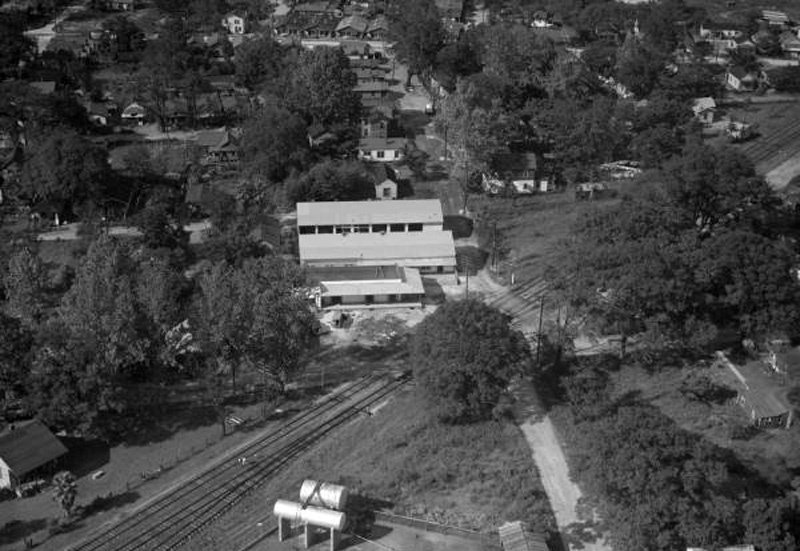 Originally dominated by modest housing, by the 1930s, West Lewisville had developed into a significant employment center with companies such as Orange Crush Bottling Works, Dekle Lumber, and Consumers Ice, and slaughterhouses such as Draper’s Egg & Poultry and Jones-Chambliss Meat Packers co-existing with working class residential structures along the neighborhood’s narrow 19th century streets.